Spotted another Mint Blue Over Silver Calais S2....just round the corner from my house. Plates....AD-49-SA....Don't know if it's V8 or turbo. It's for Sale by the way Anyone seen it before? Spotted a white vl with calais wheels and a motortech sticker on the back yesterday. 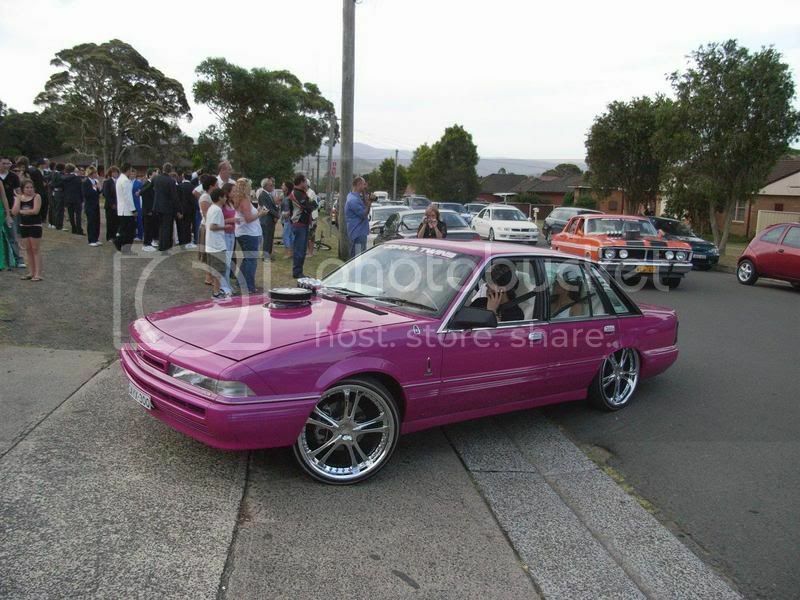 spotted a pinkish purpleish vl in town sat night the plates were COMEON looks tuff thow!!!! what car do u own DA HOON??? whats some links 2 these car???? oops my bad, i thought it was pink. for a while i thought d car was in ur avatar...yeah man, that white leather interior is soo nice. Where you in town last night?? Man it was VL night i reckon...loved it. spotted some nice cars parked at chillis on fri nite!!!!! Hahaa nows the time I properly should let you know that’s were I went to school HAHAHAA where’s tank to back me up on that on. DAHOON im guessing you went to Albion park high down the road? Saw NMERCY yesterday around Coniston; sounded nice as! We were having a muck around game of soccer at coniston oval. Heaps of ppl got hit in the face for looking at the car instead of the ball lol. Where abouts? i MUST HAVE MISSED IT! i'm still to see this car in nsw hey.